Scottish Liberal politician Samuel Chisholm. Home » Scottish Liberal politician Samuel Chisholm. Scottish Liberal politician Samuel Chisholm 1836-1923. 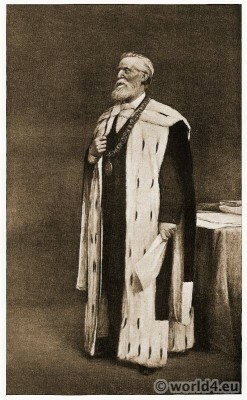 “Samuel Chisholm, ESQ., LL.D.” from the portrait by the Scottish landscape and genre painter Joseph Henderson (1832–1908). This entry was posted in 10s, 20th Century, Edwardian, England, Genre and tagged Portrait on 8/31/14 by world4.